The International Olympic Committee (IOC) has just taken the final vote on whether to include Surfing in the Sports Program of the Tokyo 2020 Olympic Games. The vote passed unanimously making this one of the most historic moments for the sport of Surfing. Finally realized 104 years since the Duke won a gold medal as a swimmer in the Stockholm 1912 Olympic Games. 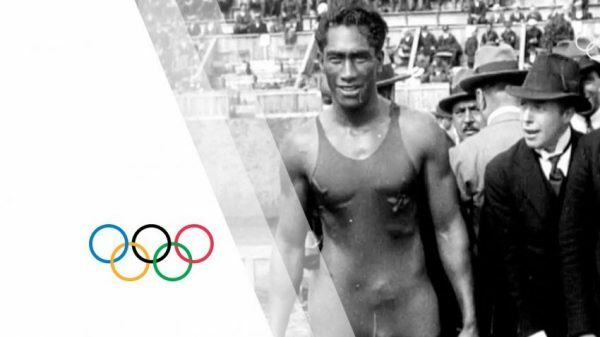 The dream of Olympic Surfing started with Duke Kahanamoku, an Olympic Gold Medalist in swimming and native Hawaiian known as the father of modern Surfing. Duke first presented his dream at the 1912 Summer Olympic Games in Stockholm, where he expressed his wish to the International Olympic Committee to see Surfing included in the Games. At 3pm local time in Rio de Janeiro today, a report was given to the Tokyo 2020 Organizing Committee, followed by a Report of the Olympic Program Commission and an official vote on the Tokyo 2020 proposal on new sports. 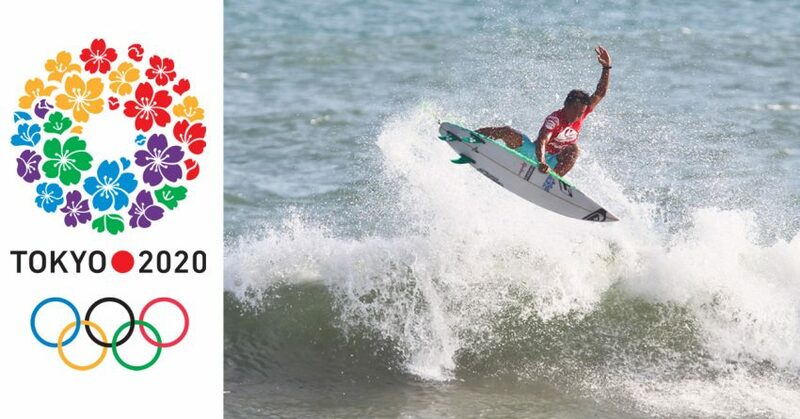 With a focus on being the most innovative and exciting Olympic Games in history it’s a great honor and massive moment for surfing to be recognized as a key component of the Tokyo 2020 Olympic Sports Program. A total of 40 surfing athletes with a focus on only a shortboard division will compete in the Chiba Prefecture of Japan. The official Olympic Surfing athlete roster will be comprised of 20 men and 20 women. The vision for the surfing events at the Tokyo 2020 games are currently set to take place in the ocean in natural conditions and will likely not be hosted in a surf pool or man-made surfing lagoon. 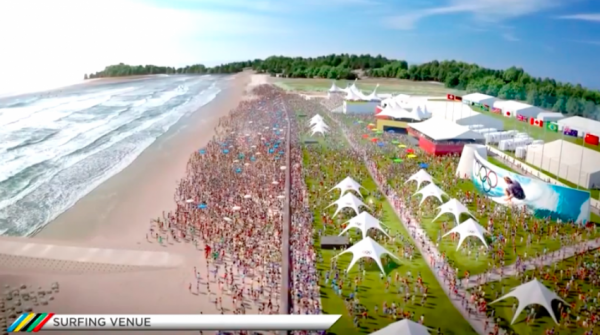 The surfing venue in the Chiba Prefecture of Japan will be set up as a high energy beach festival comprised of live music concerts, sponsorship exhibitions, merchandising, vendor villages and a variety of food / beverage options. 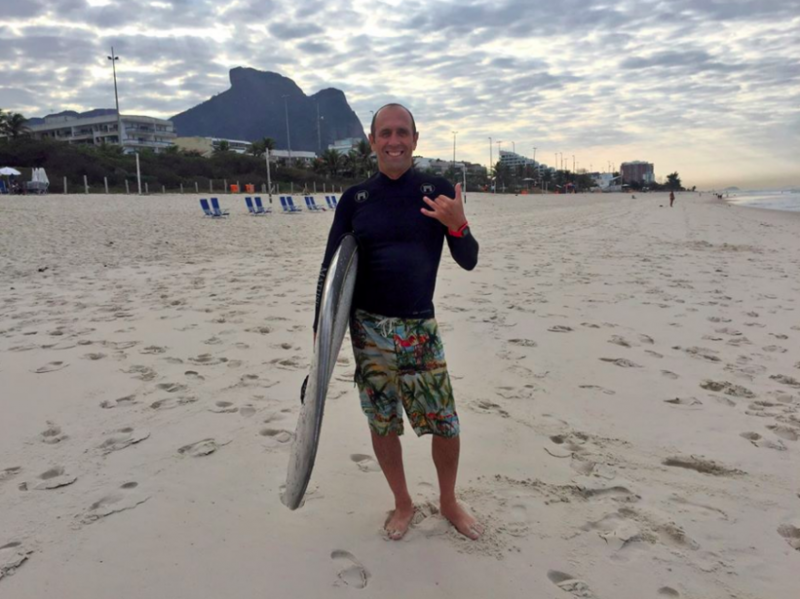 Fernando Aguerre, a member of Argentina’s National Surfing Team, was elected President of the ISA in 1994. In 1995, shortly after being elected, Aguerre met with the then IOC President, Juan Antonio Samaranch in Lausanne, Switzerland, where he made it clear that the inclusion of Surfing in the Olympic Games would be a strategic priority for the ISA. 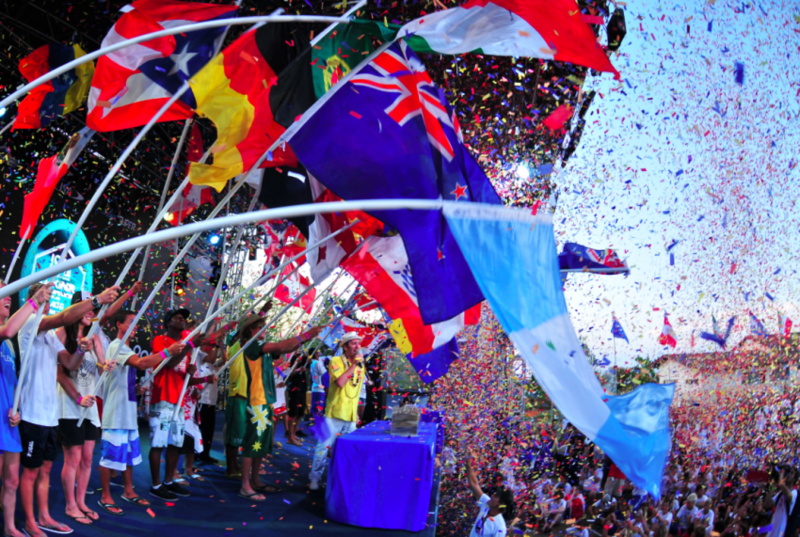 Since that meeting in Lausanne, the ISA has taken great steps forward both in the global development of the sport and in edging closer to Olympic inclusion, with the ultimate goal of spreading the joy of Surfing to all corners of the world. With 32 Member Nations in 1995, the ISA has now grown to 100 Members and counting, reaching non-traditional surfing markets such as Iran, Sierra Leone, and Russia to name a few. 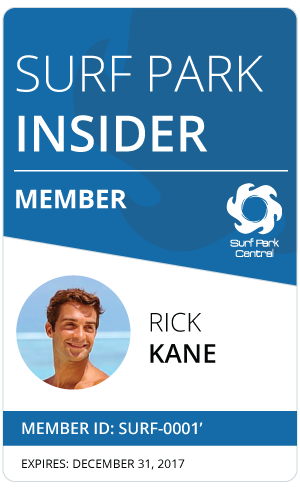 Despite several unsuccessful attempts to promote Surfing’s inclusion into the Games through the first decades of Aguerre’s mandate, the ISA President persisted and pushed forward and in 2014, the ISA was given a new breath of life under the new leadership of IOC President Thomas Bach. Bach brought a new vision to the Olympics, realizing the need to add youthful, vibrant sports. The door was opened for 26 sports, which included Surfing and SUP, to apply for inclusion in the Tokyo 2020 Games, an opportunity that was ecstatically welcomed by the ISA. Two years later, having been recommended by Tokyo 2020 and supported by the IOC Executive Board, Surfing has finally achieved official Olympic recognition by the International Olympic Committee. The final vote on surfing’s official Olympic inclusion at the 129th IOC Session on August 3rd at the Summer Olympics in Rio will go down in one of the most significant moment’s in the history of the sport of surfing. A great day for surfing! One can only imagine the excitement and butterflies, the thoughts and dreams swimming through the young athletes’ minds as they try to sleep tonight. Training starts before dawn for one of the most exciting prizes ever awarded in the sport. Surfers will prove themselves the most beautiful athletes in the world. Congratulations on a job well done, Fernando! Pingback: Surfing goes Olympic ! !